In a food processor, finely chop the broccoli. Place on a baking tray lined with baking paper. Bake for approx. 7 mins. in the centre of an oven preheated to 220°C. Leave to cool on the baking tray then season with salt. Bring the stock and white wine to the boil along with the shallot and vanilla pod, reduce the liquid to approx. 75 ml, strain and return to the pan. Mix in the cornflour, stirring with a whisk. Simmer for approx. 2 mins. Remove the pan from the hob and reduce the heat. Add the saffron and reserved vanilla seeds. Add the butter gradually while stirring with a whisk. Return the pan to the hob a few times to barely warm the sauce; it must not boil. Add the cream and heat gently. Heat the oil in a non-stick frying pan. Fry the scallops for approx. 1 min. on each side, season. 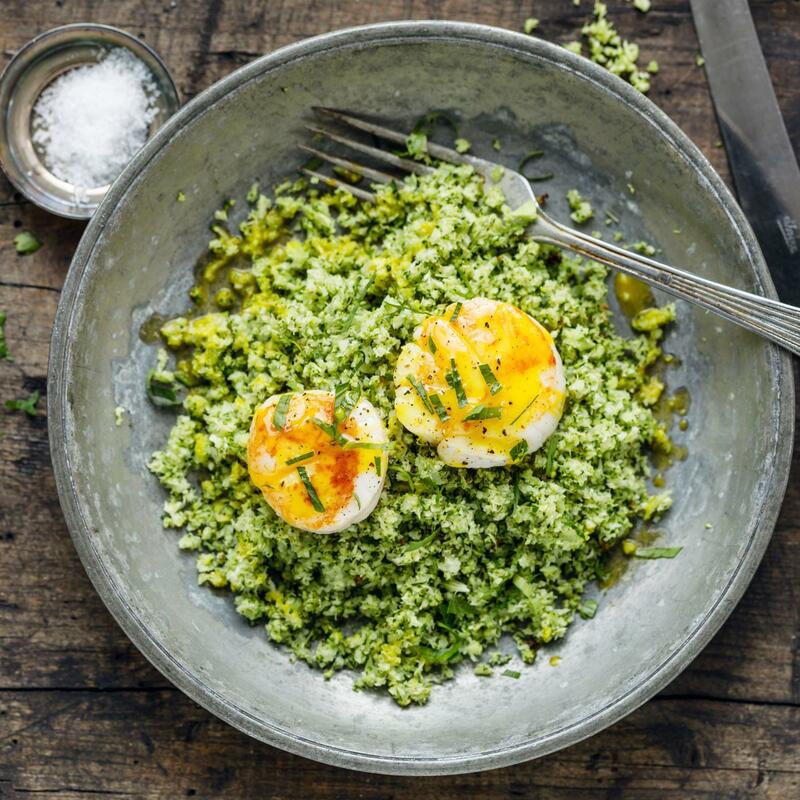 Serve with the broccoli couscous, topped with a scattering of chervil.